ONZ Architects won the 3rd Prize in Ödemiş Public Square and Cultural Center National Architectural Competition. 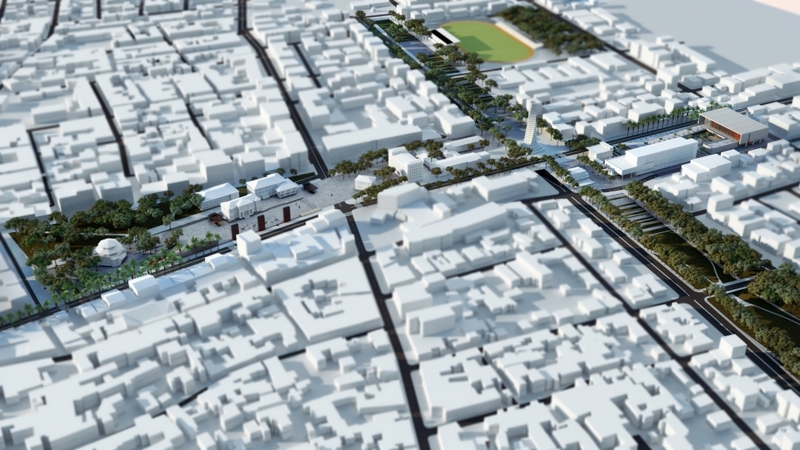 The main objective of the project is to integrate urban functions to ensure the continuity of the pedestrian and green axis while creating a new structure. In this context, defined and undefined urban spaces have been reorganized to increase the physical, social and cultural wealth of the citizens. The most characteristic feature of the city is its physical structure. Green axis, squares and spaces in the city have been evaluated as an advantage for the social, cultural and physical development. For this reason, the vertical and horizontal axes of the city's open spaces and the spatial potentials are planned as a whole. The design of the new city structure is based on four different functional axes and a combining icon. These functional axes meet at the center of the city and create two physical axes - two traces following the city’s physical structure. These traces generate the main backbone of the city macro form.